Dulili is suffering a people drought. Over the years more people have moved away than have arrived to stay in this old New South Wales farming town, and now only a handful of young families and elderly residents are left. The locals put a plan into action to entice newcomers: offering the town’s empty houses to people from anywhere in Australia. Who could resist renting a beautiful homestead for a dollar a week? The series A Dollar for a Dream is made up of three stories, each a stand-alone book, but each set in the town of Dulili (which means Together). Coming from a countrified town in Wales, my biggest ‘new girl in town’ moment was moving to London when I was 18 to spend the next three years of my life in drama school. London is a big city. It seemed to me like all the suburbs were simply one large town themselves. Remember joining the new book-club group? The mothers and babies group? Or nodding hello to a group of women in the local grocers who were chatting, and having to walk on when nobody asked you to stop and talk because you were the new person and they hadn’t sussed you out yet? When I was preparing to leave home I got some advice from my family that has always stuck with me—not saying it was all good though *big grin*. Winter was cold, and thick socks and a coat were a good thing. Not so sure about the fruit cake, though it may have been applicable if you were the new bank manager’s wife, as Grandma was in her day. But country hospitality was amazing—it just took a while to kick off. I think Mum’s advice was the best I was ever given…except she should have said those first three months could feel like years! A small town romance sent against the romance of the beautiful Dandenong mountains about loss, lies, and the courage to live true. There’s nothing left for Adele Devereux in Sydney: no job, no relationship, no hope, and no diagnosis for her shy, uncommunicative daughter. So she packs her bags, takes her meagre savings, and moves her small family to the country. She never expects to meet Tom Wade, a man facing his own hopeless situation, but whose kindness reaches her daughter in an unexpected friendship. 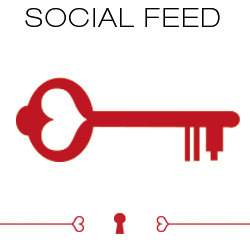 Adele finds herself drawn further in to the community – and into her attraction to Tom. In ‘Enemies to Lovers’ week of our romance-literature tropes series, Jennie Jones tells us about the version of the trope that made its way into The House at the Bottom of the Hill. The House at the Bottom of the Hill stars Daniel Bradford and Charlotte Simmons. Are Dan and Charlotte enemies? More like adversaries, although one of them doesn’t know that. Then they become lovers and it gets a whole lot more complicated for both of them—and everyone around them. I found inspiration writing the adversity in The House at the Bottom of the Hill. It gave me a whole new platform of scenarios—and not only for Dan and Charlotte. You see, Dan knows he’s doing something that will affect Charlotte’s new business. Problem is, the townspeople don’t know about Dan’s secret to upgrade his business. And nobody knows that newcomer Charlotte isn’t intending to go through with her proposed business. So the Enemies (or Adversaries) to Lovers trope gave me heaps of interesting and sometimes humorous scope to weave in the secondary characters and have the whole issue affect everyone in town, and even the town’s future. Charlotte is the new owner of the pink B&B in Swallow’s Fall and Dan runs Kookaburra’s— the local pub. Now, even though Charlotte only intends to stay in town long enough to find answers about her mother’s death many years ago, she can’t stand looking at that flamingo pink on the B&B walls and wants to repaint it yellow. Cue outrage from those on the town’s committee who don’t like change and don’t like Charlotte much, either. So Charlotte is in a muddle about the B&B because she doesn’t want to leave it looking old and sad. Dan is in a muddle about whether or not he should come clean with her about his about-to-happen upgrade to the pub (which will put them in opposition and probably wipe her out of business), and the townspeople don’t know any of it. Yet. There are challenges in writing, full stop. But there are also challenges involved when choosing which trope you want to write. I always try to grow my story (and therefore the heroine’s and hero’s journey) through the trope – which means it’s got to affect everybody in the story and cause conflict for more than just the heroine and hero. Oh—and sometimes, I don’t think about the trope. It simply finds me and the story as I write—usually from whatever dilemma the heroine and hero have in their hands and in their hearts when I first put chapter one together and discover who my main characters are. Whatever the trope, it can be used to great effect, and I believe this is the way a writer can understand and get around that perfectly correct adage, ‘It’s all been written before—what are you going to do to make it fresh?’ We weave the trope into the storyline in such a manner that it’s ultimately important to our main characters, and yet simultaneously reaps an awful lot of conflict or problematic scenarios for the people in their environment—which means our heroine and hero have to grow, commiserate, reflect, re-charge, renew previously held ideals, and ultimately, in the case of a romantic story, find their own way to their own happy ever after. No heroine or hero in a good romance story is delivered their happy ever after. They have to chase it. My favourite Decadent Delicate Shortbread biscuit recipe to enjoy any time of the year. Jennie’s note: The biscuits will be thin and crunchy to the bite, but still have that buttery melt-in-your-mouth shortbread-gorgeousness – and beware, the pastry is so delicate that when you roll it out, you won’t be able to pick up the pastry to turn it once it starts to get thin. Cream butter and icing sugar very well using an electric mixer. 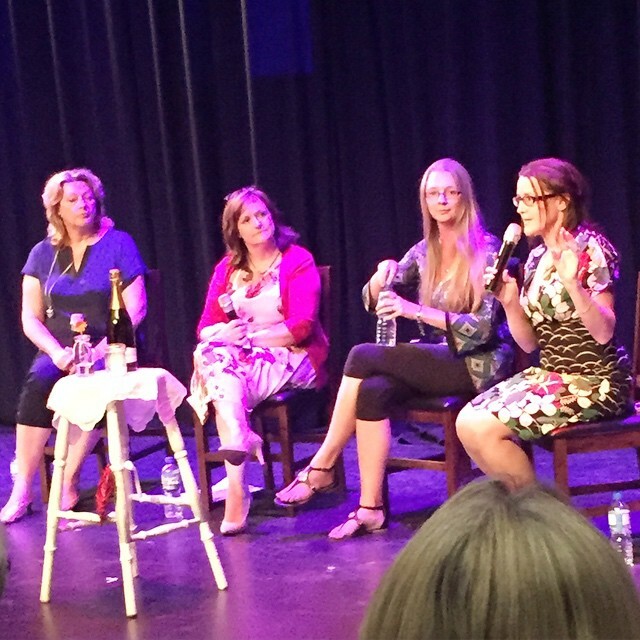 Romance writers Jennie Jones, Lily Malone and Juanita Kees treated an appreciative audience of more than 50 to laughs, cheekiness and a tad of sauciness at Stories on Stage: Date Night last night. 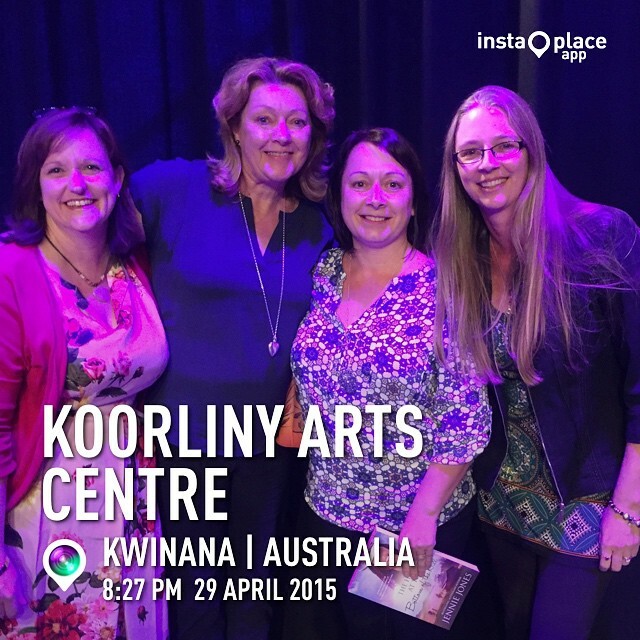 Part of the Stories on Stage series held at Koorliny Arts Centre in Perth’s southern suburbs, Date Night celebrated the romance genre, with the writers put under the spotlight during a panel interview … with me! The stage was set for the date with atmospheric lighting, a candle and a bottle of champagne, and quiet jazz music in the background. And then, once the audience was settled, the “getting to know you” bit began. It’s fair to say, there were a few nerves at this point. 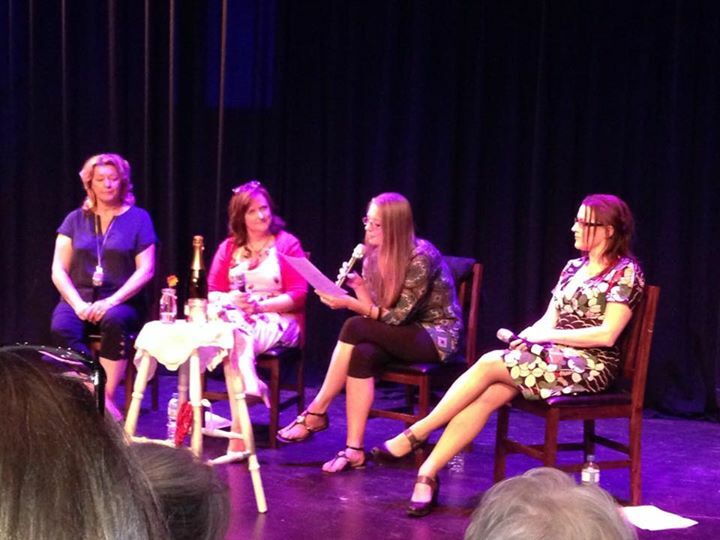 For me, this was a new experience – interviewing three writers in front of a crowd. Jennie’s no stranger to the stage with her theatre background, but Lily and Juanita had to take a few deep breaths and employ whatever tactic worked for them to speak in public. Since the audience was mostly female, I don’t think they imagined everyone in their underwear, but they might have pretended the room was full of firefighters. In between each group of questions, Lily, Juanita and Jennie read excerpts from their novels – well, Lily read Jennie’s, Juanita read Lily’s and Jennie read Juanita’s. Cue red faces and embarrassed giggles as the authors heard their excerpts read aloud … especially when hands went under shirts, mouths opened, hips met, and “I want you” was breathed. Audience members came up with some good questions after the panel concluded, but most saved their questions for the onstage meet and greet, which included book sales, signings, freebies and photos. Here’s one from romance reader Trudie: The evening concluded with a tasty home-made supper of Melting Moments (because romance is full of those); brownies (because they are soft and gooey … like the first stages of love); my special Choc Chunk Slice aka Choc Hunk Slice (because it’s yum); orange, date and walnut cake, and egg sandwiches. I’d like to thank Juanita, Lily and Jennie for their time and effort in making Date Night such a fun evening. Romance readers, if you haven’t checked out their books, you must! They are all fantastic at what they do. Thanks also go to Escape Publishing and Harlequin Books Australia for providing 10 books, discount vouchers and USBs pre-loaded with the authors’ books to give away, and to Alex at Koorliny Arts Centre for his fab tech support (he’s been promised a role in all three authors’ books, as long as he understands that his shirt will come off). And finally, thanks to Jim at Rockingham Books for helping with book sales and supporting Stories on Stage. You’re a star. For more information about Lily Malone, click here. Read my reviews of her books here and here. For more information about Juanita Kees, click here. Read my interview with her here. For more information about Jennie Jones, click here. Read my review of her latest book here.